Jennifer began playing t-ball at age five. Throughout her public school career, Jennifer played in the Delta Heat Organization before moving to the Surrey Storm in 2003. In 2003, she not only won Delview Secondary School’s Top Female Athlete Award and Softball City’s Home Run Derby, she was also selected by Team BC, which went on to win the Gold Medal at the Western Canada Games. In 2008, Jennifer was named to the Delta Heat Fast Pitch Hall of Fame. After a very successful softball experience at Niagara University in the state of New York where she broke five school records and made the Dean’s List in her freshman year, Jennifer transferred in the fall of 2006 to Georgia Tech in Atlanta, Georgia to study materials engineering. Jennifer’s first three years at Georgia Tech were stellar, particularly 2009 where she hit .415 with 16 home runs and 43 runs-batted-in. In addition, she was selected to the Canadian National Team which competed at the 2008 Olympics in Beijing, China. 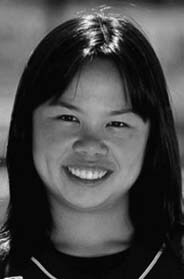 However, 2010 was probably the most memorable for Jennifer Yee to close out her NCAA Division I college career. Considering the fact that there are approximately 5,800 women, 98 percent of them American, playing NCAA Division I softball at 290 schools in the United States, Jennifer and Danielle Lawrie from Langley at the University of Washington were arguably the most glittering performers on the NCAA softball diamond in 2010. When the top three players in the NCAA Division I were announced, Jennifer Yee, the only non-pitcher, was included in the trio. With quick wrists and a violent snap to her swing, she batted leadoff, played second base for the Georgia Tech Yellow Jackets and led the entire NCAA in batting average (.568), slugging percentage (1.270), on-base percentage (.732), runs scored (93), walks (88) and home runs (29) as well as reaching base in all 62 games. She struck out only six times and was caught just once in 22 stolen base attempts. Her coach at Georgia Tech, Sharon Perkins, credits Jennifer Yee’s success at the plate as being largely due to her excellent hand-eye coordination and amazing ability to detect a pitcher’s grip early. Although Jennifer has always been a very patient hitter, her hitting numbers are truly incredible because she rarely gets good pitches to hit. She states that it is hard to stay focused being walked two or three times a game, thus allowing only one real good at-bat. At the conclusion of the 2010 season at Georgia Tech, she played for Canada at the world championships in Venezuela in June. After completing her studies at Georgia Tech last fall, she now attends the University of Massachusetts at Lowell where she is pursuing graduate studies in mechanical engineering. She has written technical reports and articles on the mechanics of hitting. Jennifer intends to play for Canada’s National Team for as long as she can.